BAROCCO, medium, rich Jacquard trim in antique gold, mustard on black. 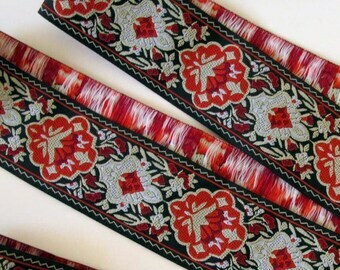 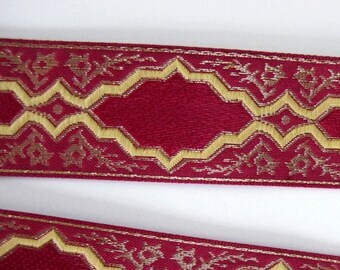 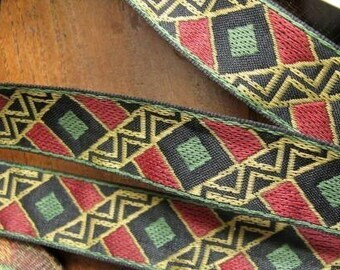 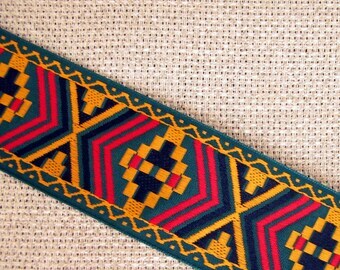 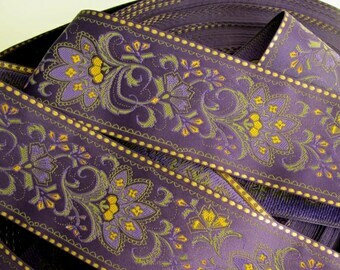 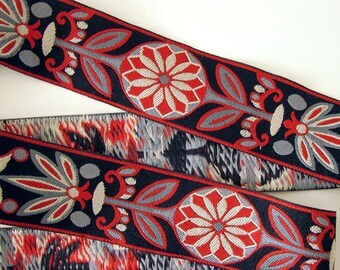 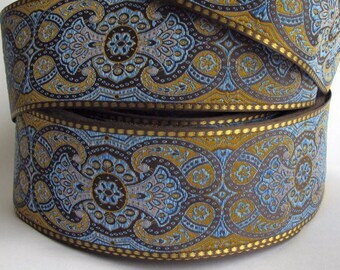 Offered here are 3 continuous yards of this superb high end brocade pattern Jacquard ribbon. 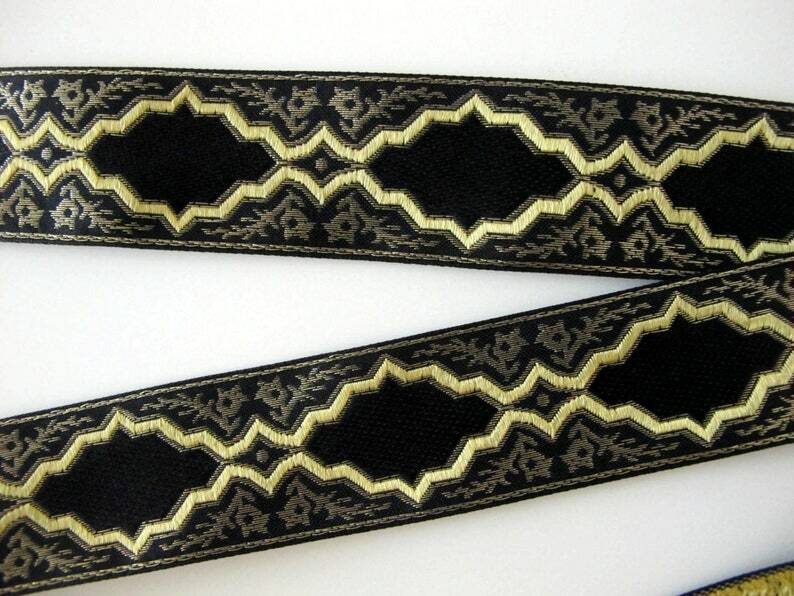 A traditional brocade design in MUSTARD, METALLIC ANTIQUE GOLD on BLACK . 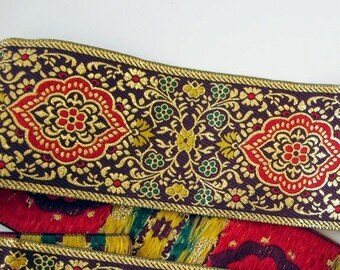 All shipments are sent insured.